Gamers looking for something a little different might find what they are looking for in Coastal Heroes, as it offers an unusual and compelling experience. 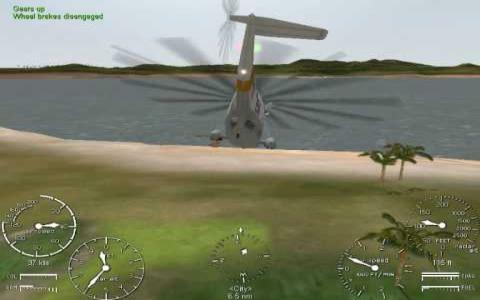 The game is a helicopter flight sim which places players in the role of a search and rescue operative and sends them on out on various missions. Although these missions seem quite varied, they all boil down to variations on the theme of flying to dangerous locations, picking up or dropping something off, or a combination. Controlling your chopper is suitably difficult, requiring a light touch while factors such as weather conditions and time of day make your task more challenging. Graphically speaking, the game is actually quite impressive, with crisp detail and textures, although the landscapes can be a little sparse. Buildings also are somewhat blocky and repetitive in their design. Sound is generally fine, with some nice effects adding to the realism, while the inclusion of several helicopters, each with notably different handling, is a nice touch to improve replay value. So, if you're in the market for a thoughtful rather than action-packed flight sim which offers a glimpse into a challenging real-world job, then Search and Rescue 4 is ideal for budding pilots. Go out and save human lives! Released in 2002, the game is the fourth entry of the Search and Rescue series. The goal of the game is pretty much summed up in the title: search and rescue people. You do that, by getting to you destination via a helicopter, in an almost realistic fashion. You take from your base, get a lot of warnings if you fly the copter in a wrong way, have a map system that will help you find your objective's destination and there's quite a variety in helicopters you can fly. While the graphics seem decent for its time, it will mostly make you feel like you're flying in the middle of nowhere. However, I like the sound effect of the helicopter, they're alright. 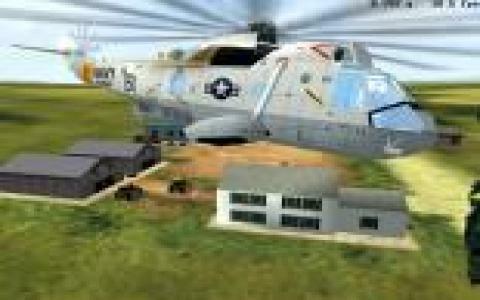 Overall, Search and Rescue 4 is a good emergency simulation, but if you're the kind of gamer that wants more than that, then maybe you should check out Emergency game instead.